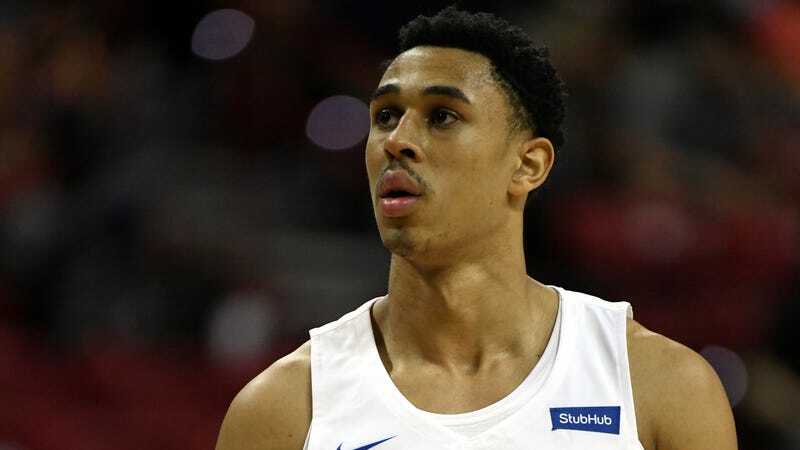 The bite from the 76ers’ rookie injury bug has had substantial lingering effects on Zhaire Smith. The team announced on Friday that Smith’s timetable to return to play would be pushed back further than initially assumed because of complications from an allergic reaction. The Philadelphia Inquirer’s Sarah Todd reported that Smith’s allergic reaction came from consuming something with sesame seeds in it while at the team facility recovering from surgery on his fractured left foot. Neither Smith nor the Sixers were aware of this allergy prior to this incident, but it means that the 16th-overall pick won’t see any playing time until at least the start of 2019. What might have started as a mildly comical trend that encapsulated the pains of Philadelphia sports fans waiting for “The Process” to come to fruition has now become a legitimate problem that potentially requires immediate change within the team’s medical staff. Something like what happened to Smith might have been a fluke, but it’s the latest in a long line of troubling health issues that keep happening to Philadelphia’s rookies. If the team cares about its roster’s wellbeing at all, they’d investigate this matter. But, maybe this is all part of a grand plan that I’m just not seeing. As has been noted before, the last Sixers rookie to play meaningful minutes the season he was drafted in was Jahlil Okafor—who is bad—while the list of rookies who have missed time due to injury include Ben Simmons, Joel Embiid and Nerlens Noel—who are all good. All that is to say that Smith likely has a bright future ahead of him. So at least there’s that.